To those who haven’t been introduced to the use of crystals or healing crystals, they are quite simply a method of safe and natural physiological encouragement. The same way you would take vitamin supplements to boost your immune system, certain crystals are used for helping specific areas of the body or psyche. 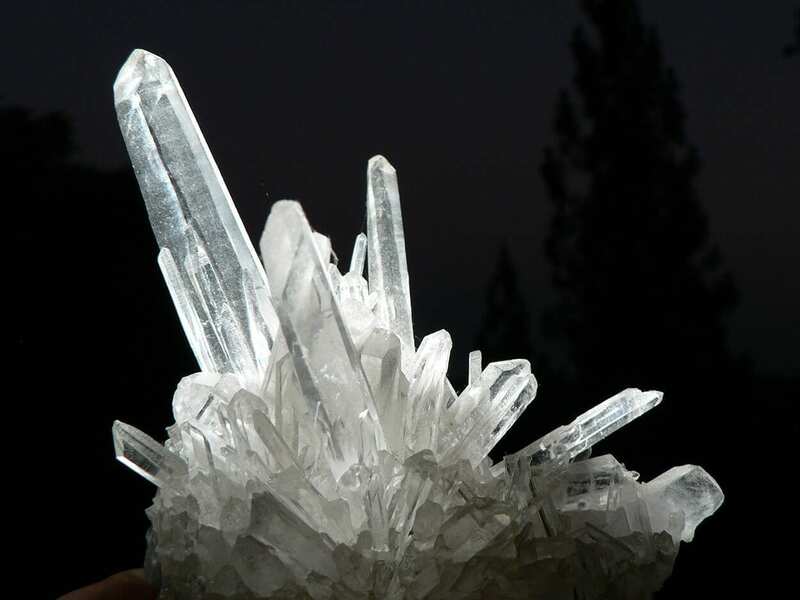 It is scientifically proven that crystals emit electrical impulses, and it is believed that these electrical impulses activate the body’s neurological system. Each crystal possesses it’s own unique internal structure and energy signal, causing it to resonate at a certain frequency, thereby affecting the body in a different way. Crystal healing is a considered to be a branch of vibrational medicine. A simple definition for Vibrational Medicine is; the use of energies or vibrational frequencies to restore or maintain good health in an individual. The chemical structure of the crystals make it able to hold energies, negative or positive. The energy a particular crystal holds is said to affect the energy of a person or environment. This influence makes it a useful tool for encouraging the intended result. The usual method of using crystals is to place them on or around a person, and this is a common treatment given by crystal healers. Although commonly referred to as ‘pseudoscience’ in the medical field, top doctors and surgeons will openly admit that the patients who use crystals throughout their treatments heal the quickest and have the least post-surgery complications. 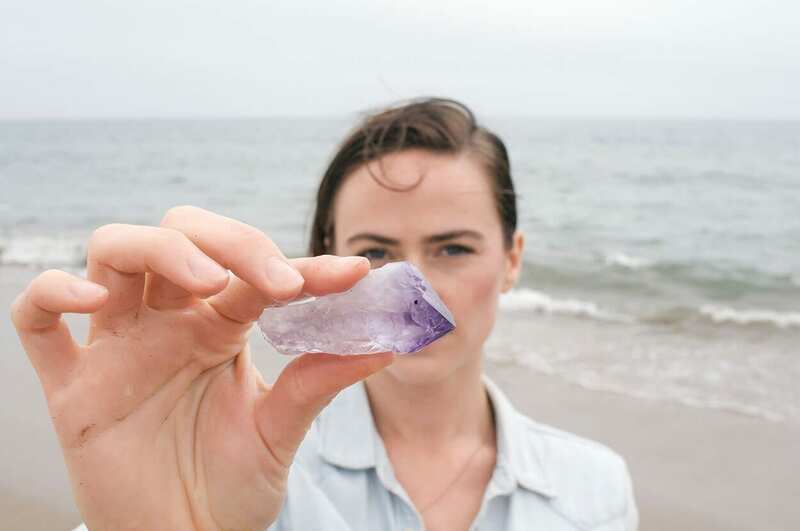 It’s no secret that a positive and hopeful outlook will benefit your healing process, and if you truly believe the crystals are going to help you, it’s likely they will, regardless of whether they work or not. Crystals are not used solely to aid an ailment, but to protect against harmful energies and promote positive ones. The use of healing stones goes way back to ancient times and is still popular today in many cultures. Egyptians used rose quartz as to enhance beauty and amethyst to protect travellers. This time-tested spiritual tradition is no longer attached to any specific religion, although seen in a spiritual way. There is nothing mystical or witch-like about the practice, simply a tool of energy vibration which is put in use to affect another energy vibration. Usually, when starting to implement crystals into one’s life, a clear quartz is recommended. They can be programmed with intent, and used for any purpose. Quartz is known to amplify vibrational frequency, and it’s chemical compound SiO2 (silica) is found within our very own bodies. Adolf Butenant (Nobel Prize winner) proved that life cannot exist without silica. It is vital to the formula of life and the human body holds roughly 7 grams of it, which is more than other minerals such as iron. Each cell in our body has their own electromagnetic frequency, which is actually maintained by silica, making quartz extremely compatible and effective with us. There are many types of quartz crystals. 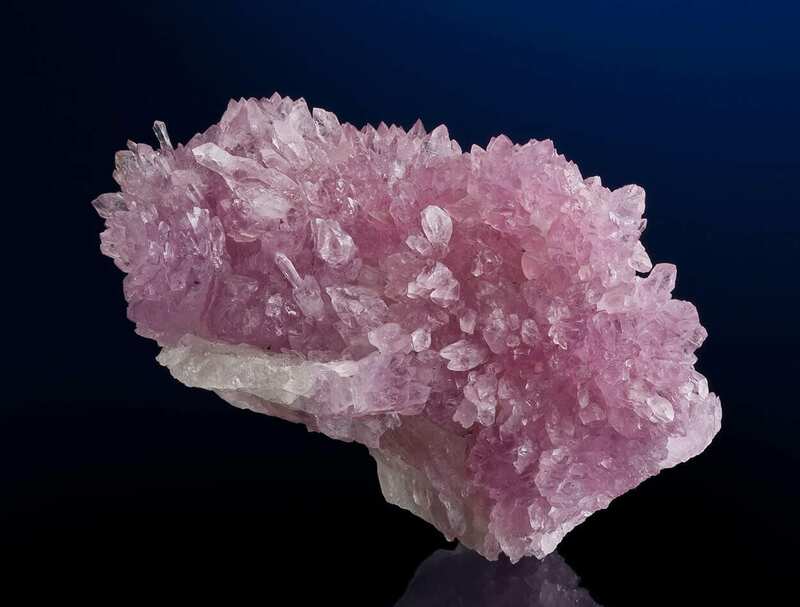 The beautiful Rose quartz for example (pictured above), is said to promote love, compassion and evoke a calming sensation. Green aventurine, which is also a type of quartz, is very commonly used for healing. The stone is meant to promote health, strengthen relationships, boost confidence, increase growth and even help finances. Amethyst is yet another one (pictured below), and is used for protection and purification. 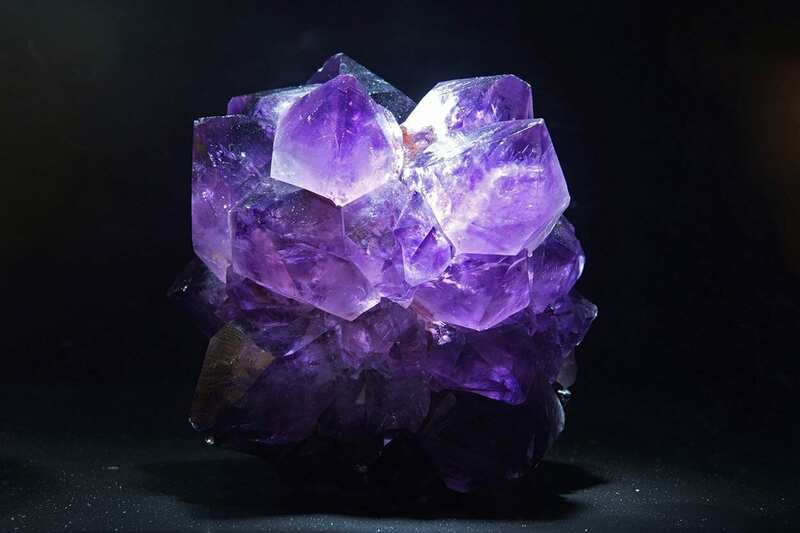 Amethyst is also widely thought to enhance our natural tuition and help release the hold we have on addictions. Bringing balance to the body and mind is the main goal when using crystals, like with any other holistic practice. A state of balance is where the body and mind is the most content and at ease, it is what the body is constantly trying to achieve and crystals help give us a push to get there. Learn more, and even qualify! Although the fundamentals of crystal healing are pretty straightforward, there is so much to learn and discover. At the School of Natural Health Sciences (SNHS) you can delve into the world of crystals, learn how to use them and even become a practicing therapist. Take a look at our Crystal Healing Diploma Course. At SNHS there are over 50 holistic therapy courses to choose from, all of which are online, with the option of self-study or tutored. You can achieve an internationally recognised diploma in your own time, from your own home and better your quality of life. We hope to see you there!